Paul is from Great Neck, New York. He graduated from Jacksonville University in 1970 with a BS in Chemistry. After graduation he taught high school chemistry and physics. After moving to Boulder CO, Paul worked as an analytical chemist and in bulk chemical manufacturing at what was then, Syntex Pharmaceuticals. From the mid 80's on he worked in the financial services industry starting at Merrill Lynch. After coming to faith in 2001 Paul discovered the world of Christian scholarship and this replaced his former passion for cross-country ski racing and trail running. Paul formed classes at his local church to communicate and popularize this material. As a culmination, he self-published his own book: Amazon link--You Bet Your Life: A Toolbox for Making Life’s Ultimate Decision. It is a philosophical, scientific and historical defense of the Faith, urging the reader not to be reckless with their soul. Paul still gives occasional talks both at CU and for a summer apologetics series. 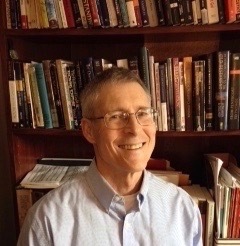 Paul serves as a volunteer Independent Research Associate with Academic Connections, International. Link to Paul’s 2nd edition of You Bet Your Life: A Toolbox for Making Life’s Ultimate Decision ebook on Smashwords.